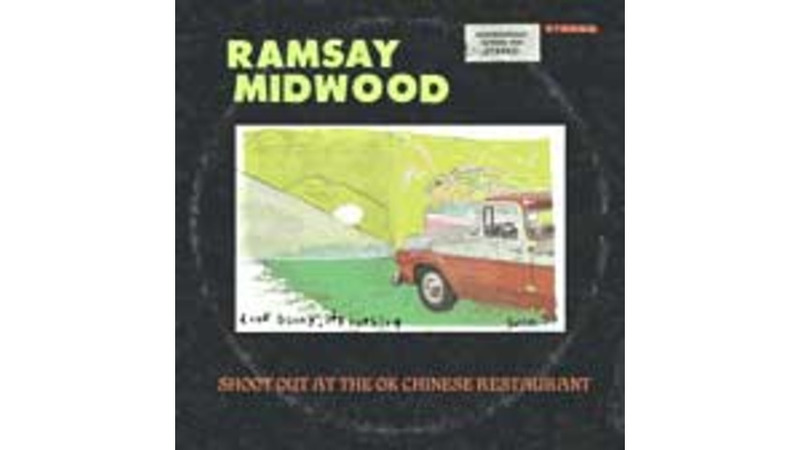 Ramsay Midwood’s debut album, Shootout at the OK Chinese Restaurant, has been available in Europe since 2000—but that doesn’t matter. The Virginia native’s take on the blues and folk is as timeless as the river delta that spawned this stuff in the first place, and all potential fans have really lost is the chance to enjoy Shootout for two additional years. Midwood’s resume is ripe with experiences that have shaped his perspective and his art, from his childhood attendance of the Smithsonian Folklife Festivals and direct contact with the likes of Lightnin’ Hopkins and Mississippi John Hurt to his stage and film acting gigs to his solo troubadour work in southern California and Austin, Texas. With a voice as craggy as a Colorado gorge and a Dust Bowl-tinged instrumental style, Midwood captures the essence of country blues while folding in healthy doses of his own artistic quirks and darkly skewed sensibilities. Favorable comparisons to Tom Waits and Bob Dylan (whom Midwood references slyly in "Esther" with the observation, "Yes, Mr. Zimmerman, the times are always changing.") are inevitable, given Midwood’s vocal rasp, sinewy lyrical construction and appropriately sparse musical accompaniment. Just as valid are Midwood’s structural nods to Taj Mahal ("Fisherman’s Friend"), 16 Horsepower ("Heaven’s Toll"), and his Delta forefathers ("Feed My Monkey"), with dashes of Johnny Dowd, Townes Van Zandt, and David Olney. The threads running through Ramsay Midwood’s influences are their shared eccentricities and their collective ability to focus on life’s small and specific moments, couching them in the most satisfyingly obtuse forms imaginable. When Midwood croaks out, "Even the bullets wobble and spin / there ain’t no latitude / just the trade winds / the grass will grow at the sun and the sun will call / the grass on home" on "Grass’ll Grow," Midwood’s bone-dry acoustic guitar and weary vocals set the atmosphere perfectly, while giving nothing away in the vaguely impenetrable lyrics. Thankfully, he doesn’t carry that approach to the extreme, as most of his oddball character studies and off-kilter tales of lost love steer just left of Waits’ propensity for bebop abstraction. Ultimately, Midwood himself emerges from Shootout—an amalgam of similar blues players but who also has managed to find his own voice, telling universal stories from a uniquely personal perspective.